I read this article and wanted to share it with you: When Your Child Wants to Go to School (Instead of Homeschooling) https://blog.sonlight.com/children-want-school.html. It’s common for homeschooled children (and their parents) to wonder about or want to try public school. But, when children start insisting they would rather go to school than be homeschooled, it can hit hard. 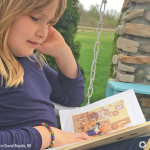 Parents do not make the decision to homeschool lightly, so to hear a child demand the public school experience can be demoralizing. It may even cause a parent to question whether homeschooling is, in fact, the best choice. If your child happens to fall into this category, here are some tips you might find helpful. Children don’t view the classroom how it really is, but rather by how they imagine it could be. 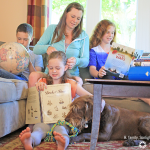 Many homeschooled children have little to no idea of what school is really like. They aren’t able to predict the long hours being seated in a classroom, with little to do. Being told constantly not to talk or play or communicate with the friend sitting right next to them in class might be a foreign concept to them. They can’t comprehend things they haven’t experienced yet, like bullying, standardized testing, and the fierce competition of grades. Make a list of the reasons you decided to homeschool. Think about why you made the choices you did, without considering the emotional pull of your child’s desires, which can block out sound reasoning. 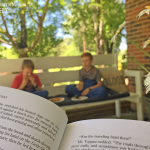 For each reason you listed to homeschool, consider whether that reason is still valid today. If so, then weigh whether each reason can be negotiated, overcome, or reduced, to give your child a positive school experience. 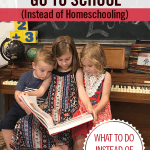 In most cases, you will find that your reasons to homeschool were, and are still, very valid. Children, especially small children, are idealists. We’ve all seen, and often slightly envied, the ability of small children to be such optimists. They wait with barely contained excitement for Santa or the Tooth Fairy to appear, never considering that maybe Santa ran out of gifts this year or the Tooth Fairy is low on quarters. They still seem to be convinced that somewhere out there exists a land where princesses wear pink and ride unicorns and knights still roam about, looking for beasts to slay and damsels to rescue. They aren’t quite convinced that it isn’t good to eat candy and watch television all day long. Most children are such optimists that they tend to think everything is, and always will be, mostly good. While this sense of wonder is fun to watch, it also means they have trouble seeing the negative side of school. They imagine school as one huge playground, indoors and out, where they happily spend hours having fun with friends and classmates all day long, only to be broken up by fun snacks and the occasional instance where they are forced to do something vaguely educational before being allowed to go back to fun and enjoyment with their friends. You and I both know this mental image does not match reality. When your child wants to go to school, open a dialogue in an effort to understand how they are viewing the school experience. Ask them to think about and describe what they think happens throughout the day. You may be very surprised at their responses. For example, I recently had this discussion with my 11-year-old. I was surprised to discover that although we had talked about public school from time to time, she was firmly convinced that school consisted largely of daily (or at the very least, weekly) field trips. In her mind, school children spent about an hour or two a day on academia, and the rest of the time was spent on field trips, fun activities, and playtime, even in fifth grade. She didn’t believe me at first, and went to ask one of her friends who was visiting if it was true that they didn’t get to go on field trips more than once or twice a year. She was very disappointed to find out that most of her time in traditional school would be spent sitting at a desk doing classwork. 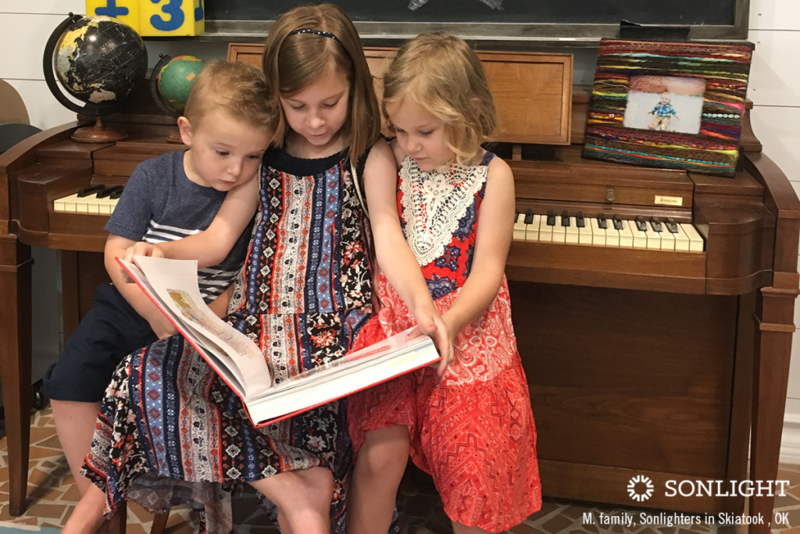 Once you have a better grasp on the reasons you are homeschooling and the way your child views school, you can start to address the heart of the issue. In some cases, the child has a very specific reason to go to school, and it has nothing to do with being in school all day. Once you have identified what they want from school, you can evaluate if the reason is valid enough to stop homeschooling or if it is merely a call to action to meet a need. Talk to your children about what they would like to get out of school. Often, you’ll find a child who insists on public school really just wants to experience a trivial element of the school experience. For example, one child just wants to go to school simply to ride a school bus. Meet this desire by riding a city bus with a parent or taking a tour of a school bus. Another child wants to go to school merely to eat a school lunch in a cafeteria. Easy! Eat at a cafeteria style restaurant such as Incredible Pizza or Luby’s or visit a cousin's school for lunch on a day that visitors are allowed. If your child wants more socializing options, perhaps increasing the frequency of play dates, joining a co-op, or taking part in additional extracurricular activities will provide the additional interaction your child craves. If you can pinpoint the need, it’s easier to fill it. Often, an expression of wanting to go to school is really a disguised request for something else—something new, different, and/or more fun. 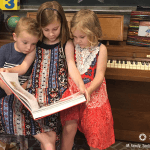 Children often think of school as something fun and different, but you can find other ways to fill that need for something new, without having to go through the process of enrolling them in school. Try new activities with your children. Sonlight offers many electives packages that might fill your child’s needs for something fresh. There are options for everything from art to music, and including typing, foreign language, and much more. Get outdoors in nature, and enjoy some time going to new parks, exploring new places and having fun. Get out in the community. Go window shopping or join a class or activity. Try new things. Talk with a librarian at your local library. They often have information about a variety of community classes and activities. Involve extended family. Perhaps Grandma would like to show your daughter how to knit, or Aunt Margaret would love to show your son how to do some woodworking. Just because a child wants to make a decision about their future, doesn’t mean they are ready and able to do so. Even with older children, such as 15- and 16-year-olds, it is important to remember they are still developing critical thinking skills. Most children are not ready to make mature, complicated, long-lasting decisions about their future without help. When a child wants to go to school, don't automatically let the child have the final decision. The problem with allowing a child to make a choice of this caliber is that they are still children, with limited decision-making skills. Many parents can look back to days when they were in their teens or preteens and felt the pull of independence and the desire to make decisions on their own; and most parents will admit the decision they made, although not always with negative consequences, were not fully informed at best. Does your child have the ability to make good food choices when on their own, or do they resort to junk and sugar if the choice is completely theirs? Are they mature enough to get a job that requires responsibility and keep it? Do they change their mind frequently? Are they able to present multiple viewpoints of their argument? If you feel your child is mature enough to make a decision about how to be educated and can present a sound rationale, then it might be time to start giving more weight to their opinions. But, if you’re not comfortable with the decisions your child tends to make on a daily basis, or you feel they are not taking into account the reality of the situation, then it might be wise to hang on to the decision-making authority for a while longer. Parents want to do what is best for their children, and struggle when their child express wants and needs different from what the parent knows is best. But, big decisions should seldom be made based on emotion and fear. Instead, using logic and understanding, a parent can try to fill their child’s needs, without schools. Sometimes, it is enough to show them that you really are listening. Is your child asking to go to school? 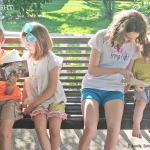 Sonlight has homeschool consultants who can help you determine if curriculum—or something else—is the issue. Click here to schedule an appointment.